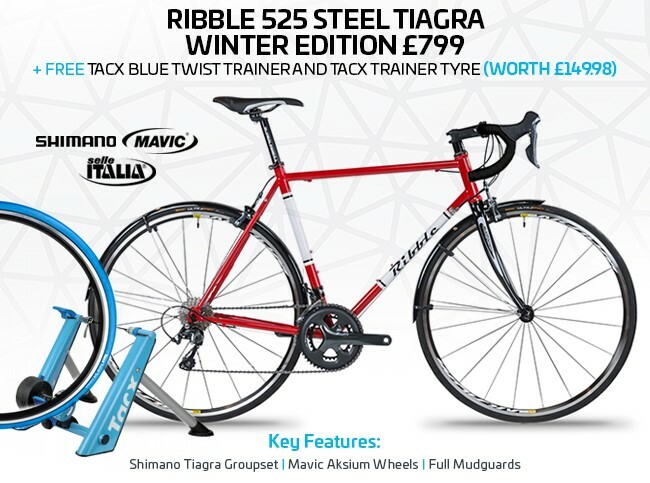 You can now enjoy 4% commission on our Special Edition Winter Bikes plus a Free Tacx Trainer & Tyre. We know that riding right through winter is far from easy. It's all too tempting to allow your fitness to fade as Christmas approaches and the weather worsens. Maintaining fitness through these difficult months requires a winter bike and a turbo trainer to train indoors. 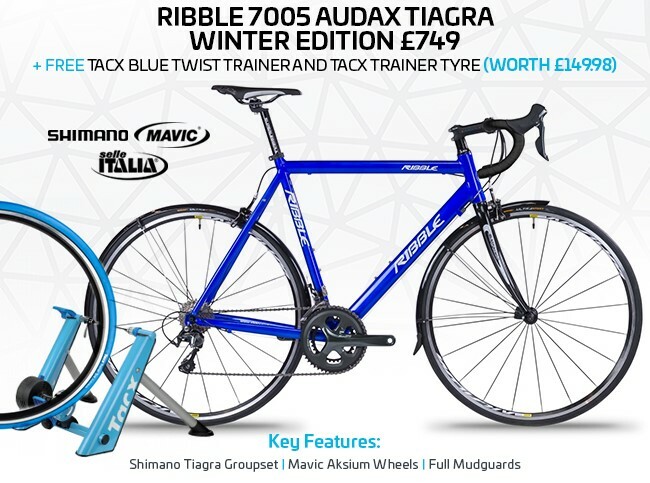 To help you with a perfect winter set-up we're giving away a Tacx indoor trainer and tyre with either of these two Winter Edition bikes. Kit yourself out for Winter! Offer ending soon.